Expectation --- Filling or drawing your well-manicured brows. As much as we all want our Instagram-worthy brows to stay that way forever, that won't happen because we are mortals! Our brows grow and look crazy from time to time! Just like mine! With my busy schedule, brow shaping (threading, brow wax) will always be scheduled and there will definitely be days I want to hide my brows under my bangs because they are just too messy and...errr...ugly! Today (well not today! My brows are super nice now but the day I took this photo!) is the perfect time for me to show you how I would normally "draw" or "fix" my brows and wait for the countdown until my next brow session! Surprisingly, the more "unfixed" my brows are, the least brow products I use! I just don't feel like piling on brow products when they aren't in shape! 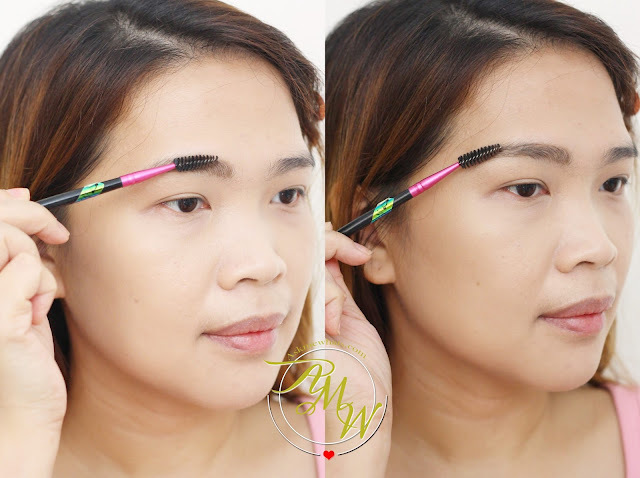 This is a twist-up slim brow pencil that has a good amount of pigmentation just right to draw natural-looking brows. The color soft brown is perfect because you get a true cool-toned brown without any red tone. 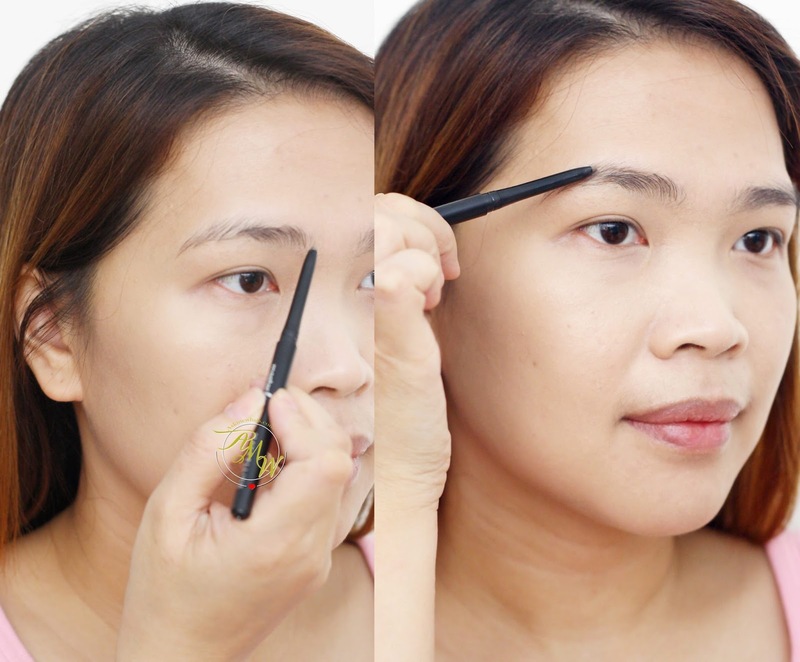 As for application, I like to start from the inner corner of my brows drawing short, hair-like strokes with my fingers positioned at the center of the pencil for lesser pressure! I do this several times until I fill in blank spaces. Since the pencil is ultra-soft and smooth, I like the fact that it can also tame my brows even without me reaching out for a brow mascara! As soon as I'm happy with the result, I pick up a spoolie brush and brush off excess pigment for a natural effect. Even with some extra stray hairs on the side, I'm quite ready to face people because so far, this pencil lasts the whole day! The after brows may not be similar to the infamous "Instagram-brows" but I'm glad to have natural and full-looking brows on days they aren't as nice as I want them to be! You may opt to pick up a pair of tweezers and pluck off excess brow hairs but I'll leave it to the professionals! You may shop Maybelline Master Brow Pencil at www.calyxta.com. Soon to review, Maybelline Fashion Brow 3D Contouring Palette and Fashon Brow Duo Shaper! and let me know if you have other "How To" requests! I find instagram brows too drawn out I like your brows more it looks more natural. I know, they are nice though on IG! I like that too-neatly-drawn brows are mostly out of vogue now, unlike last year. Neat, groomed, but still natural-looking brows are better, in my opinion.